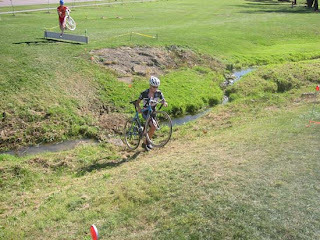 I found myself with a day off this past Sunday and in a racing mood, just to get the competitive juices flowing for the upcoming Iceman Cometh Challenge race. 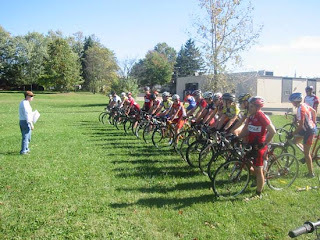 The closest race was the Orrville Cycling Club's Cyclocross series, so I loaded up my Raleigh XXIX mountain bike and headed to Orrville. We sell a lot of cyclocross bikes, such as the Raleigh RX 1.0, to people who don't race, and that's fine; they make great light touring and commuting bikes as well. 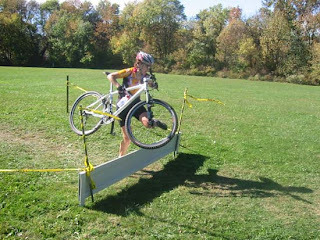 Part of the process is often explaining what exactly cyclocross is. Rather than try to go into the details myself, the Wikipedia entry provides a great overview. 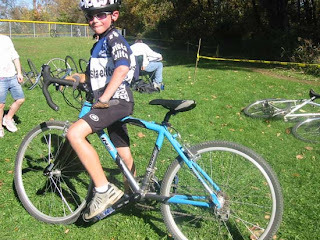 The best look at the guts of the sport, though, are probably best shown in a video such as this one from the 2007 Starcrossed Cyclocross race in Seattle. 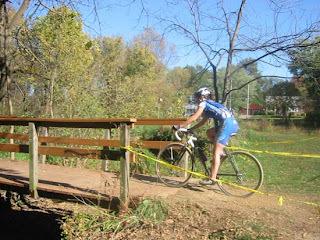 Anyway, back to Orrville...I didn't have any hopes of being competitive no matter which category I signed up for, so I registered in the Masters 35+ category, since that would be an hour-long race, instead of just 45 minutes for the B race or 30 minutes for the C race. 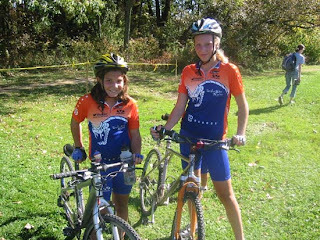 Contrary to the tame "old guys" connotation of the name, the Masters category in any type of race is usually filled with dudes who have been racing for 20+ years, sometimes even former pros (neither of which applies to me). But, I got my money's worth in a workout, and ended up 7th out of the eight of us that signed up in Masters. A beautiful day, and another one of the many great, wacky excuses that we've come up with to enjoy ourselves on bikes.